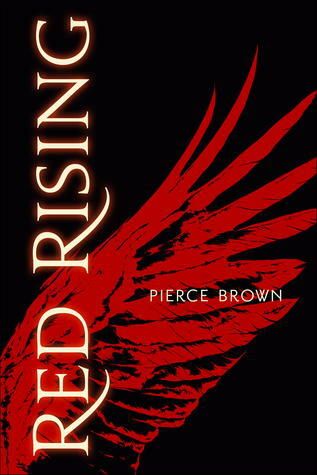 I have been wanting to read Red Rising for ages, especially as there has been a far bit of hype about it and it won the Goodreads Best Debut Author Category, so I knew I was definitely missing out on something here. Red Rising is a dystopian novel, which is the type of novel I love and quite a few bloggers have been going crazy for it. I could not wait to get stuck in. In Darrow's world, everyone is ordered and ranked into colours. Reds like Darrow are the lowest in society and the Golds are the rulers. The Golds do not believe in equality, only that the strongest should rule. Darrow lives in the very depths of Mars, digging all day to earn food and to make the surface of Mars inhabitable for future generations. 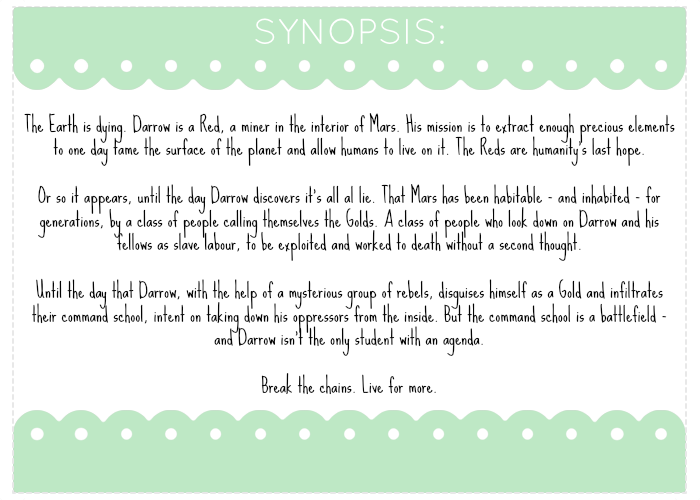 Darrow believes that the Reds are humanities last hope, until he discovers he has been deceived. Blimey! Why did I leave it SO long to read this?! 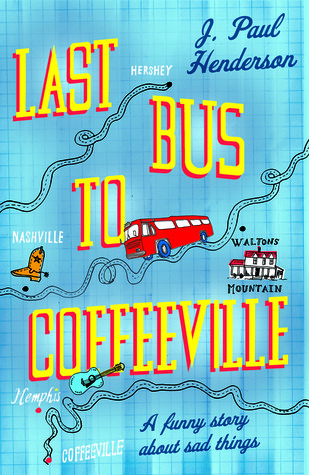 I can completely see why Pierce won debut author of the year! What a debut it was. It was so intricate and well thought out. The last book I read similar to this and loved was The Hunger Games, so am so excited to have found a new trilogy to get completely sucked into. Once I had started Red Rising, it practically took over my thoughts. Even when I had to put it down, I could not stop thinking about it. It is totally addictive, once you start, you just cannot get enough. As we got further into the book, I found myself flicking back to the map at the beginning to see Darrow's progress. I was utterly involved in this and felt like one the characters myself. Even the language is unique to Darrow's world which has me saying things myself, especially bloodydamn and gorydamn. Pierce really has created a whole new world in Red Rising. The only teeny tiny criticism I have and this is probably just me, but there were times when I desperately wanted a bit more explanation to some of things in Darrows world. I did have quite a lot of questions, but that's only because I was being greedy for more information on the story. The only slight consolation for reading this so late is I now thankfully don't have long to wait until Golden Son is out, which some people have already been lucky enough to read and I SO envious! But that's just me being impatient for the next instalment. A highly addictive, brilliant and intelligent debut from Pierce Brown. Bring on Golden Son! !